This Austin Post Office Employee Benefits Association Health Insurance Review explores the national health insurance benefits association known as Federal Employees Health Benefits (FEHB) Program. Our research reveals that the Austin Post Office Employee Benefits Association, founded in 1940, is no longer serving the health insurance needs of Austin-area postal workers. The FEHB Program helps postal workers afford the cost of health care. Employees of the U.S. Postal Service, retired employees, and beneficiaries of deceased post office workers may take advantage of the FEHB Program. According to the Postal Employee Network (PEN), eligible persons may select from a wide array of health plans, including point of service providers (POS); health maintenance organizations (HMO); fee-for-service plans (FFS); and preferred provider organizations (PPO). The regional area or city serviced by the FEHB Program may limit some types of services. Compare your health insurance rates by requesting quotes from competitive health insurance providers by typing your zip code into this page! Then continue reading about the FEHB Program to learn about the history, services, and access federal employees have to a variety of health insurance plans. 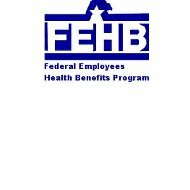 The FEHB Program is available to all current employees of the federal government, although some insurance offered through FEHB requires organization membership enrollment and membership fees. FEHB is offered along with life insurance and retirement plan products from the Federal Employee Group Life Insurance (FEGLI) Program. FEGLI was founded in 1954 and remains one of the world’s largest life insurance group plans. The FEHB Program offers the full spectrum of managed health care plans. The U.S. government negotiates the lowest possible costs for health care services. As other managed health care plans offered by private sector employers, FEHB users must request pre-approval for hospital stays or specialist visits. FEHB uses authorized physician networks and prescription drug plans. The U.S. Government funds the FEHB Program. During fiscal year 2000, an individual insured received a U.S. Government contribution of approximately $2,050. An insured family of four received a Government contribution of about $4,574. The U.S. Government pays up to 75% of the premium fee for FEHB insured employees. According to the U.S. Office of Personnel Management (OPM), the amount the Government pays may vary according to location and branch of service. Like other employer-offered plans, post office employees can elect to pay their premiums through automatic payroll deduction plans. Unlike many private sector employer plans, the FEHB Program does not require a waiting period for coverage. An employee may receive automatic health care benefits from the very first day of his employment under FEHB. Importantly, the FEHB does not require medical exams. Employees are not excluded because of age or physical condition by FEHB. For these reasons, many postal workers place a high value on FEHB health insurance benefits. An employee with a chronic medical condition continues to receive high quality health care insurance at low health insurance rates. Families with disabled children may petition the FEHB for extended benefits after the child reaches age 22. All employees may elect new health insurance or change existing coverage during the FEHB “open season.” From Monday of the second week of November through Monday of the second week of December each year, federal employees have the freedom to evaluate health care costs and coverage. An individual insured may elect to insure his family during the open enrollment period. Alternatively, he may decide to change from a family plan to single coverage. Retirees continue to enjoy the health insurance benefits of the FEHB Program. Most FEHB subgroups require that the retiree have insurance through the plan for at least five years prior to retirement. If an employee or retired employee divorces a spouse, the FEHB Program may continue to insure the former spouse in some circumstances. If an employee or retired employee dies, the FEHB Program may continue to insure the family or beneficiaries of the insured. If an employee or retired employee goes on unpaid family leave, or enters military service, the FEHB Program may continue to insure the individual and/or his family. Former employees may receive continuation of FEHB insurance on a temporary basis (TCC) or receive an offer of conversion to private insurance coverage. When a former employee loses FEHB coverage, the FEHB Program states that he must receive a “Certificate of Group Health Plan Coverage” from the most recent FEHB plan. Because the FEHB Program offers so many beneficial features to its members, postal employees tend to praise the health insurance benefits of the U.S. Postal Service in Austin, and throughout the United States. Take a moment to compare your health insurance rates with quotes from interested health insurance providers by typing in your zip code!